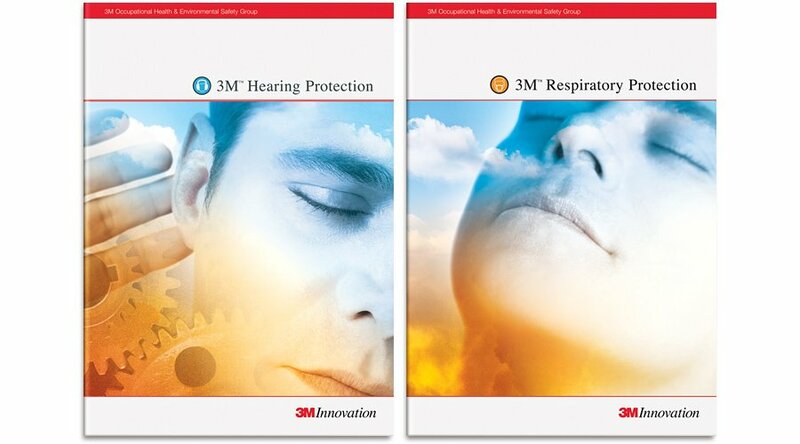 The 3M Personal Protection range of equipment encompasses any thing from ear defenders to breathing filter masks. Each set of equipment had its own 8 page gatefold brochure and then was presented within a pocket folder. We produced a series of shots, using the same model, to demonstrate the area of focus. Using stock photography of contrasting industrial imagery and fresh blue sky, we blended them together to create an eyecatching set of brochures.